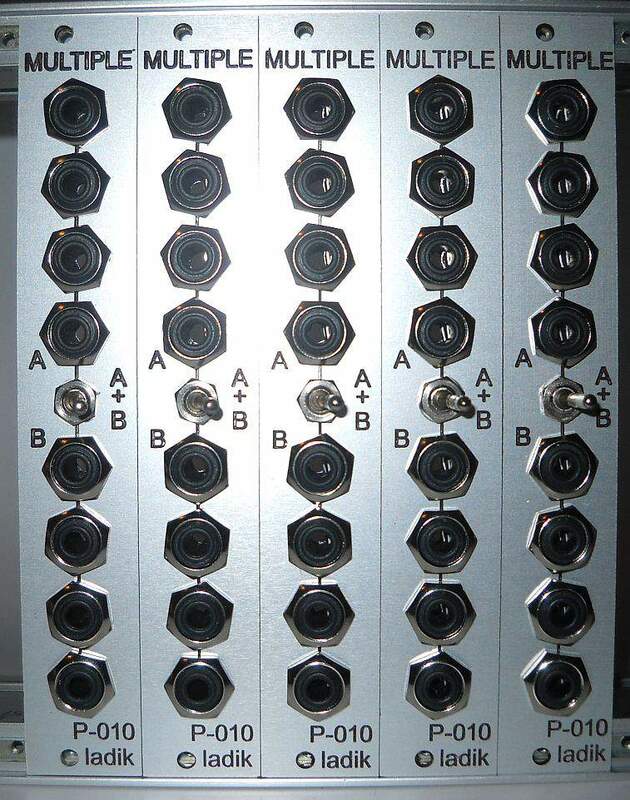 P-010 Multiple module for eurorack / Doepfer A100 system. 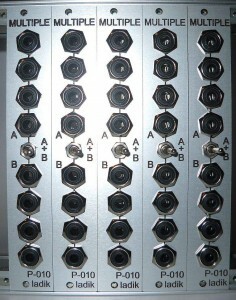 Switchable from front panel as 1×8 or 2×4. Section A (4x 3,5mm jacks) and section B (4x 3,5mm jacks) are hardwired on PCB. Switch in right position (A+B) connects both sections (all 8 jacks) together – 1x 8 multiple. Switch in left position (A, B) disconnects sections – 2x 4 multiple.